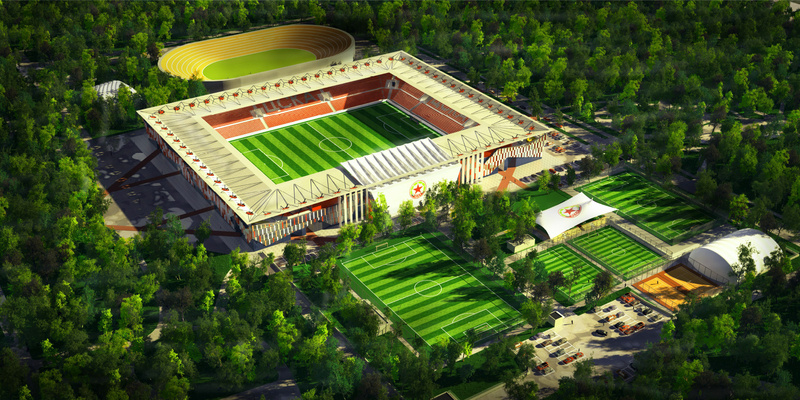 Concept project for reconstruction of the famous Sofia soccer team. 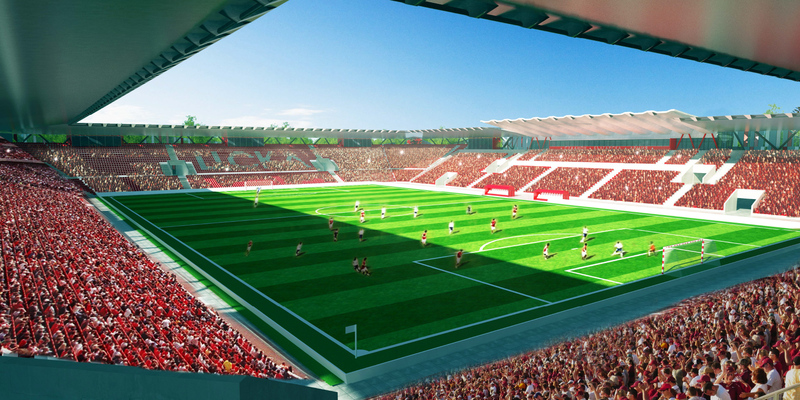 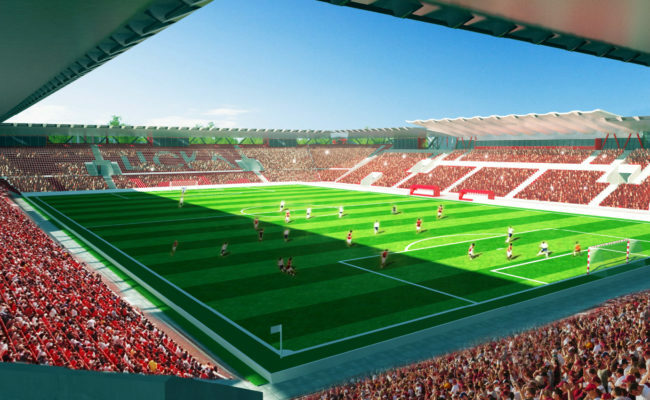 The proposed transformation redesigns almost all of the stadium, keeping the central stand and canopy intact. 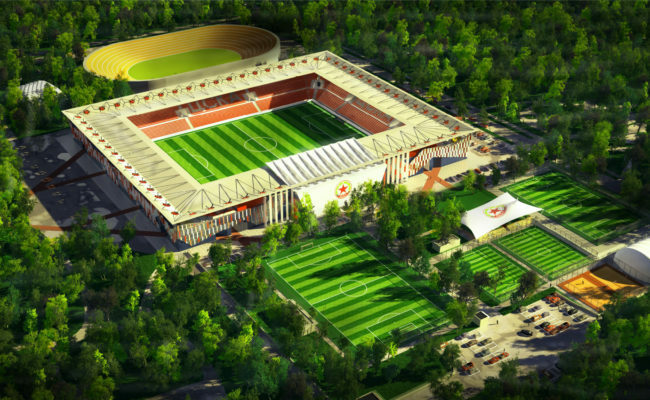 The project aims at achieving a modern functional sport space together with office spaces in one of the most beautiful central parts of Sofia, surrounded by the park, thus creating a financial leverage that will render the whole investment possible. 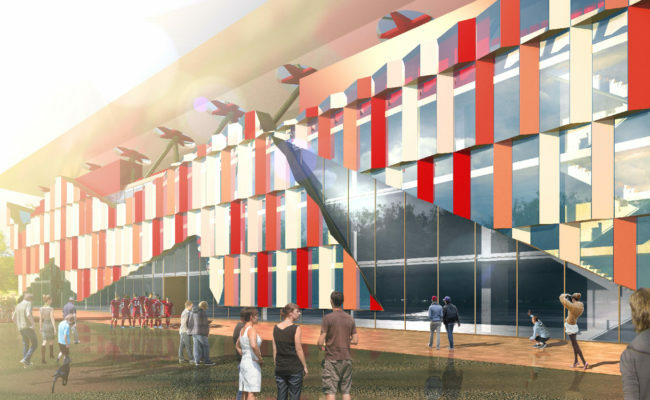 A lot of amenities and public functions are implied in the design for the creation of a truly functional multi-use space in the central green area of the city. 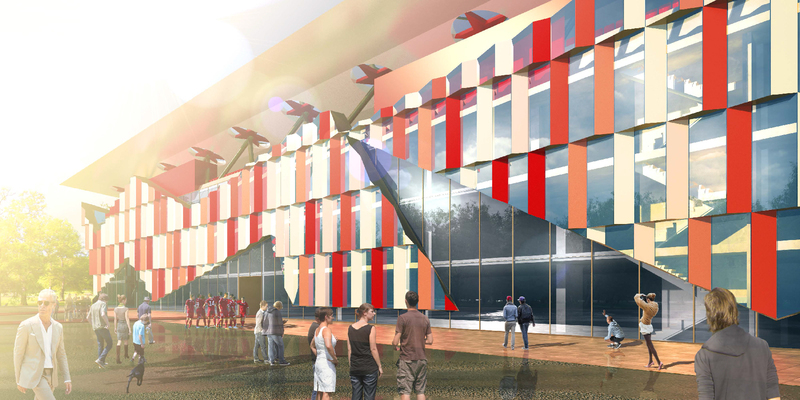 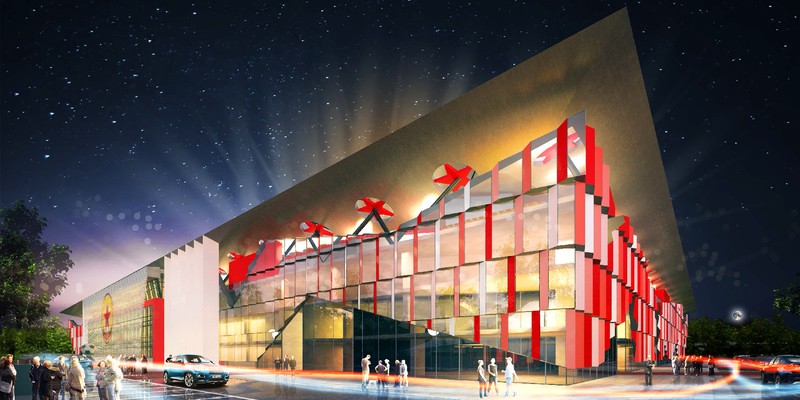 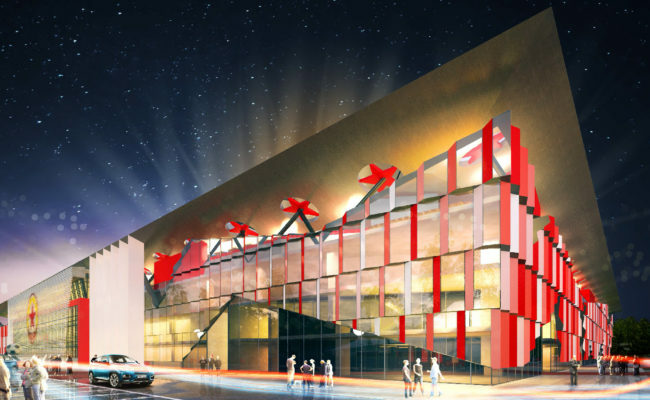 The image of the building is a reminiscence of the team fan colors and the stars of the team emblem, supporting the canopy.